Posted 11 months ago by Zackmft. 216 views. Wants to join a band in Spring, Texas, United States. 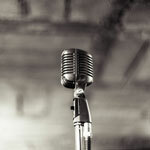 Available: Singer in Katy, Texas, United States. Posted 7 months ago by texleprechaun, 175 views. Available: Bass Player, Drummer, Drummer - Double Bass, Guitarist - Lead, Guitarist - Rythm in Baytown, Texas, United States. Posted 11 months ago by Kaitie, 226 views. Wanted: Bass Player, Drummer, Guitarist in Dallas, Texas, United States. Posted 1 month ago by Daelan, 100 views.